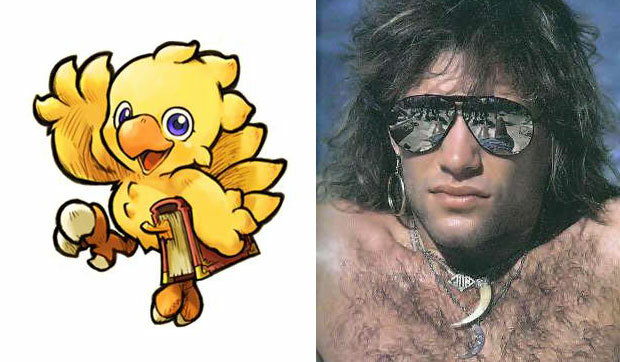 I know you're probably staring at that header picture in confusion, trying to figure out what Final Fantasy and Bon Jovi have in common. The answer is nothing, so don't struggle to figure it out. Well, nothing before the news report on Andria Sang this morning that Bon Jovi has been asked by Square Enix to provide the music for an upcoming commercial for Final Fantasy Crystal Chronicles: The Crystal Bearers. I'm going to give you a minute to think about that and try to wrap your head around it. The song being used is called "We Weren't Born To Follow" and comes from the upcoming album The Circle, which is due out November 4th. The single for this song is due out later this month. There's nothing wrong with the choice, it just seems a wildly different choice then, well, the J-pop I would normally expect. Bon Jovi will be in Japan October 26th-30th to promote the album.